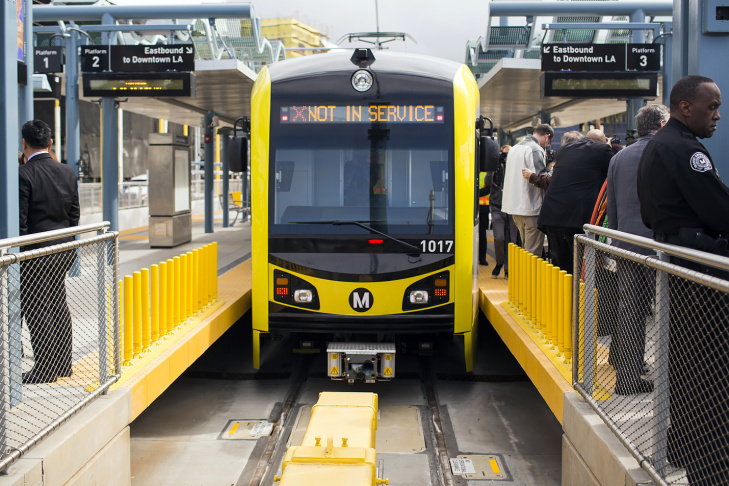 Members of the Metro board of directors take a sneak peek ride from the Culver City to sowntown Santa Monica stations on the new Expo Line extension on Monday morning, May 9, 2016. 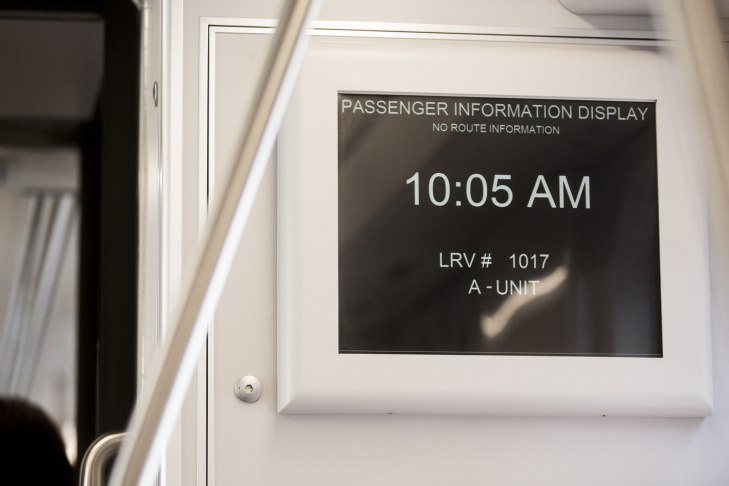 The line opens to the public on May 20. 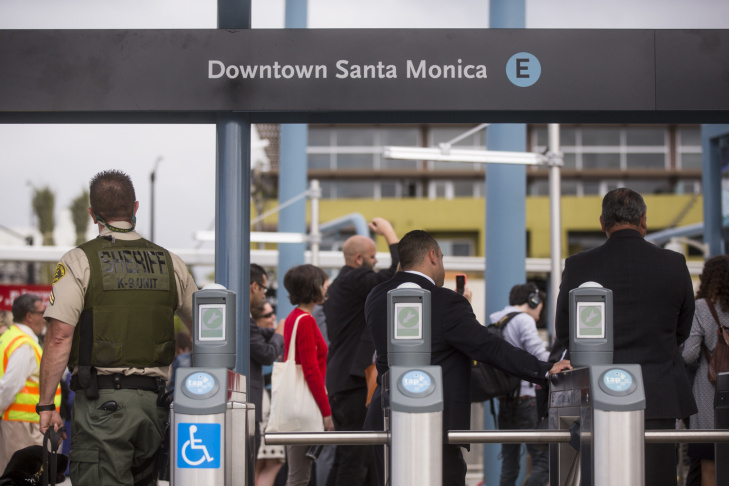 Officials and media representatives packed brand new light rail cars on Monday to take a pre-launch trip on the Expo line to downtown Santa Monica, arriving just steps from the beach. 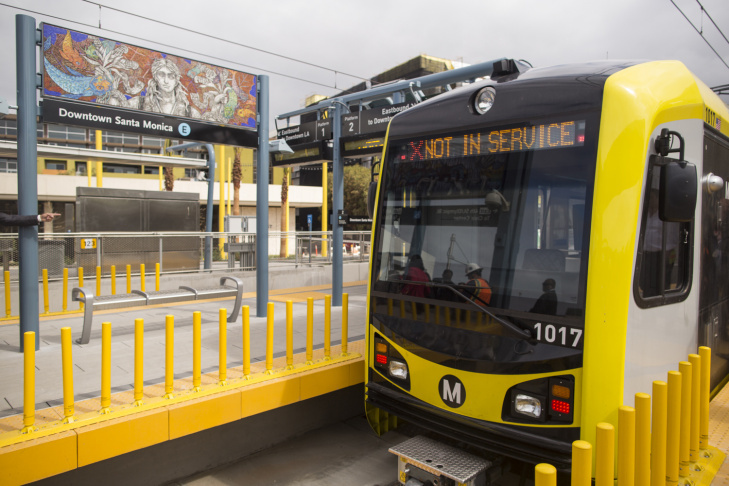 The highly anticipated section of the Expo Line opens to the public on May 20. 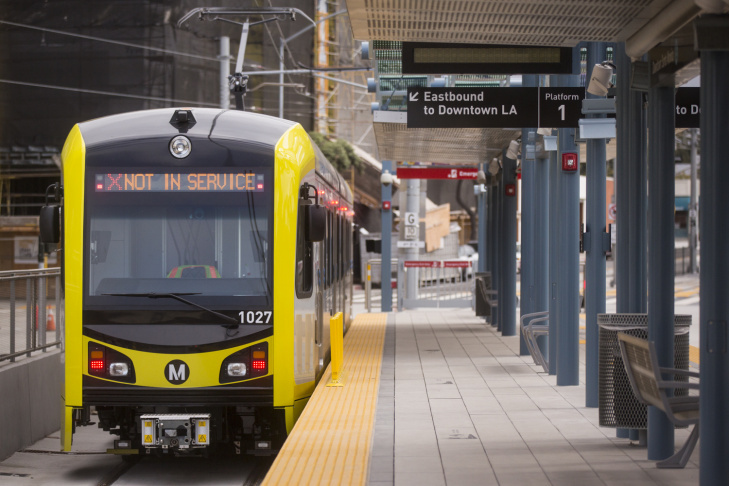 It's the first train in more than 60 years that will connect downtown Los Angeles with Santa Monica. 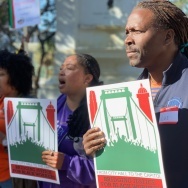 Built at a cost of about $1.5 billion, the project was mostly funded by Measure R, the half-cent sales tax increase approved by voters in 2008. 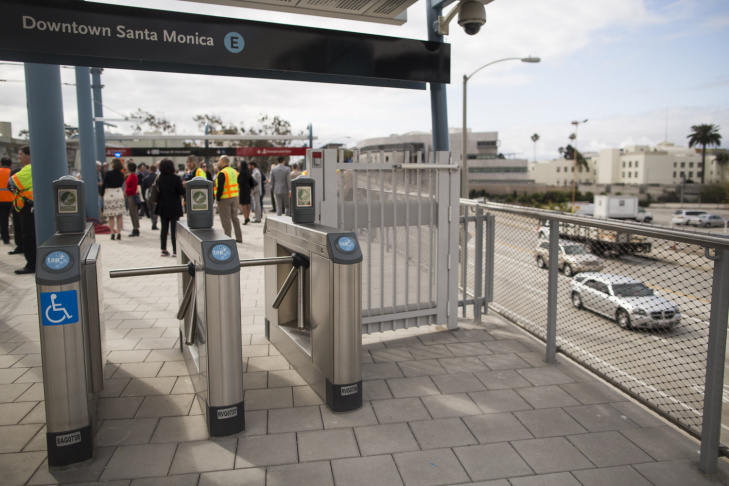 Los Angeles Mayor Eric Garcetti said the new segment will transform the west side. 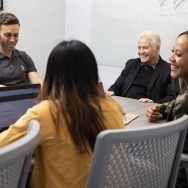 "This is really about delivering the promise. 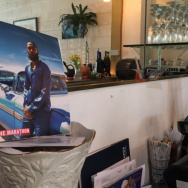 I think a lot of people thought we couldn't do something like this in the car capital of America," he said. 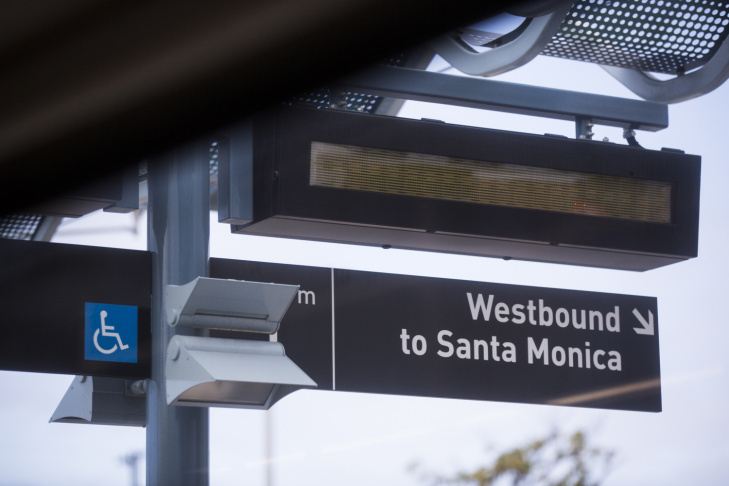 Garcetti moonlighted as the announcer on the preview ride that traveled from Culver City, the line's current end point, to the new stop in Santa Monica about a half mile from the beach. "It might be a little bit sandy on the cars on Saturday and Sunday, but it’ll be a great thing," he said. 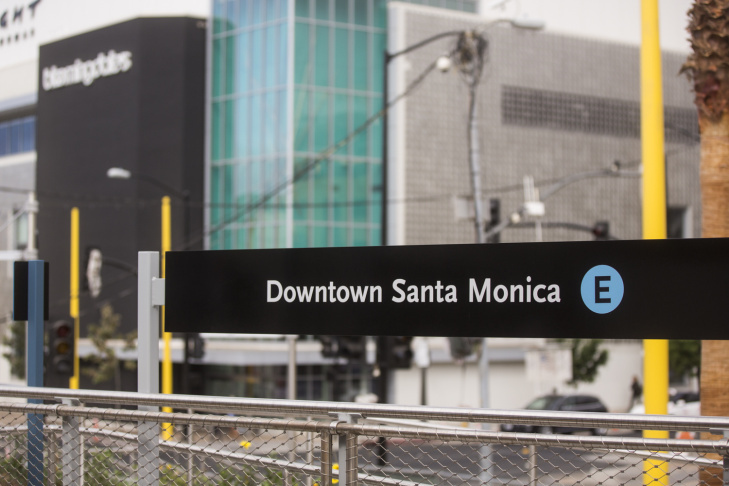 The new segment adds 6.6 miles to the Expo line and seven new stops: Palms, Westwood/Rancho Park, Expo/Sepulveda, Expo/Bundy, 26th Street/Bergamot, 17th Street/Santa Monica College and downtown Santa Monica. 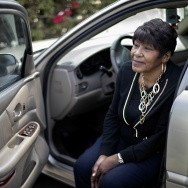 The full ride from downtown to Santa Monica will take about 45 minutes. 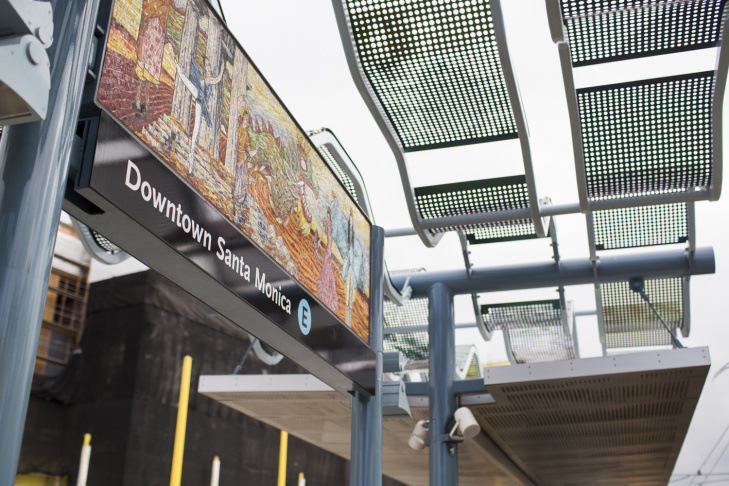 Metro will be offering free rides on the Expo Line when the second phase opens at noon May 20, through the following day, May 21. 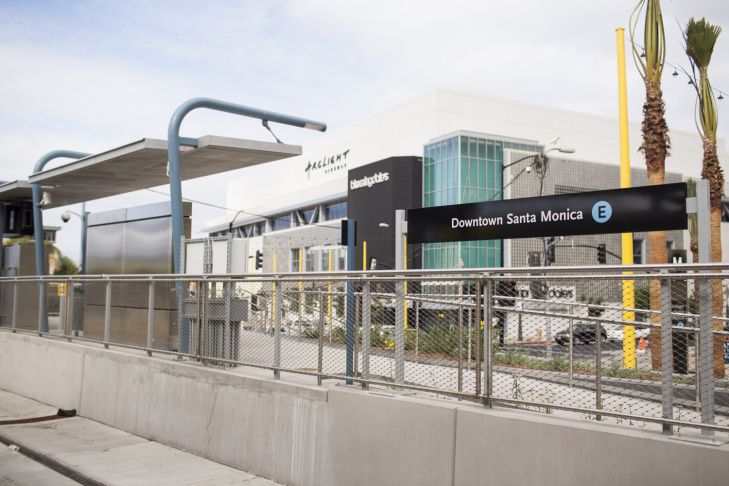 Lack of parking may pose a problem as it has with the Gold Line extension since only three of the stations will offer park-and-ride space: Sepulveda (260 spaces), Expo/Bundy (250 spaces) and 17th Street/Santa Monica College (70 spaces). 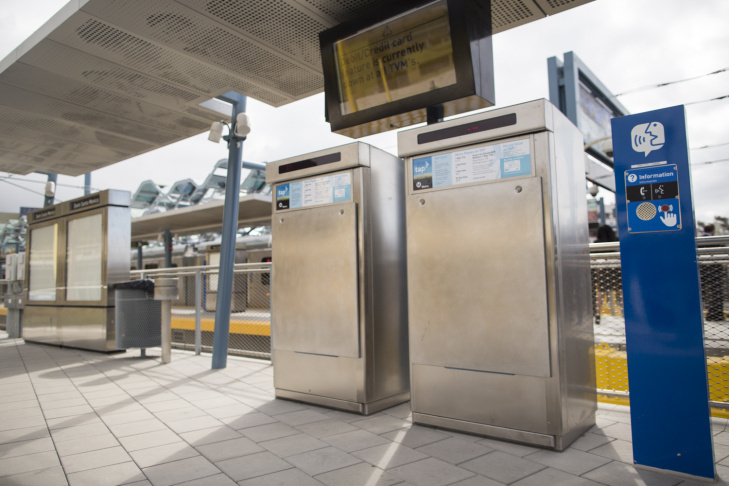 Ridership on the Expo Line is expected to more than double by the year 2030 to 64,000, according to Metro projections.